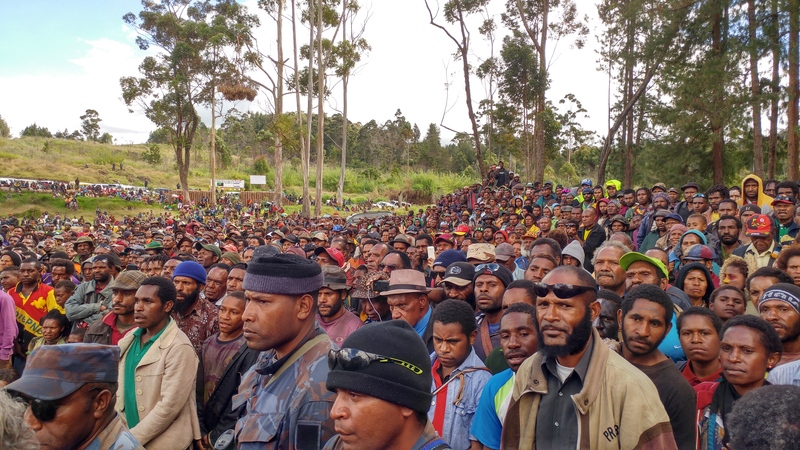 A large crowd gathered to watch Prime Minister Peter O’Neill as he launched the Sepik Chicken Grain & Cocoa Innovation Project, to be established by the Government in cooperation with LR Group. Prime Minister Peter O’Neil was joined by the Mayor and the Deputy Governor of East Sepik Province at the ceremony. 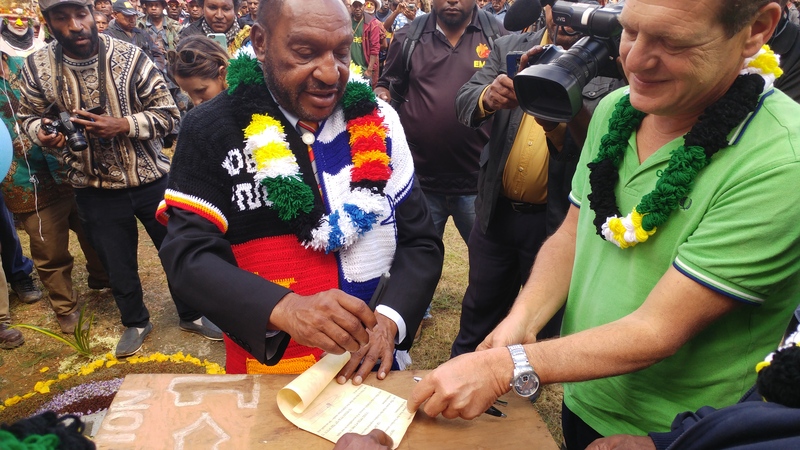 The Sepik Chicken Grain & Cocoa Innovation Project will be managed in a Joint Venture between Kumul Consolidated Holdings and Innovative Agro Industry Ltd. (an affiliate of the Israel LR Group). The project is expected to produce eggs and poultry for the local market and stock feed from locally grown produce and will also include a 5,000 hectare cocoa plantation. It is expected that the produce from the project will replace imports and slash the prices of poultry products by 30%. The Department of Trade, Commerce & Industry has been investing significantly in the infrastructure of the Yangoru Sassia Province in order to enable large scale agricultural investments to be made in the area. Investments have been made in electricity, a water treatment plant and roads.